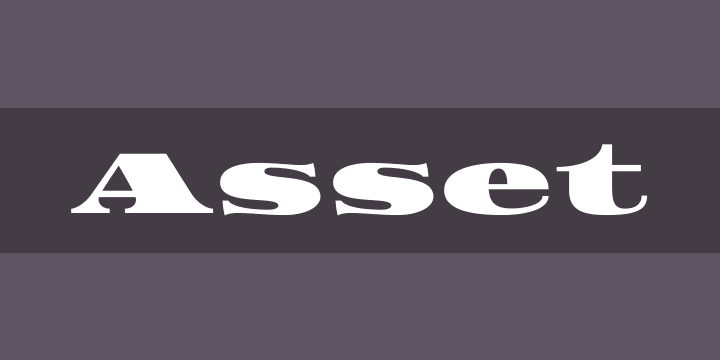 with Reserved Font Name “Asset”. Asset was inspired by the engraved letters found on United States dollar bills. Asset belongs to the “fat face” category because it is so bold or heavy. It is also a high contrast design and very extended or wide. Although it is legible at medium sizes it will shine most when used large where both its restraint and passion can be seen. This font was made specifically to be used on the web, but will work well in print.